I love ice cream, but sadly it’s not something I can indulge in all the time. 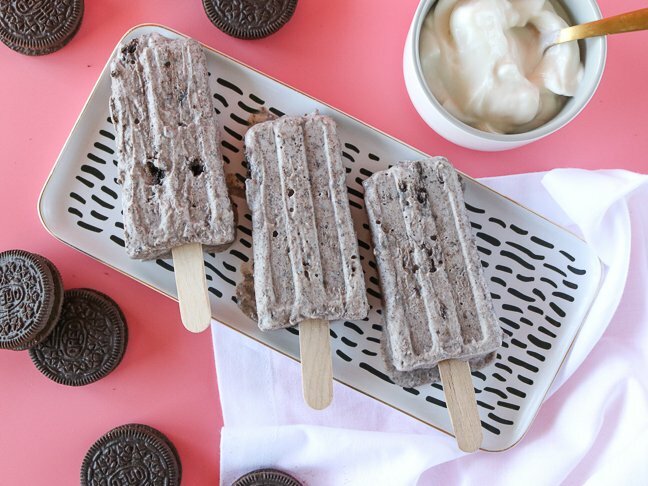 So I’ve come up with the perfect frozen sweet treat substitute: Cookies & Cream Yogurt Pops, which combine — you guessed it — Oreo cookies and Greek yogurt. Believe me, you won’t know the difference and neither will your kids. 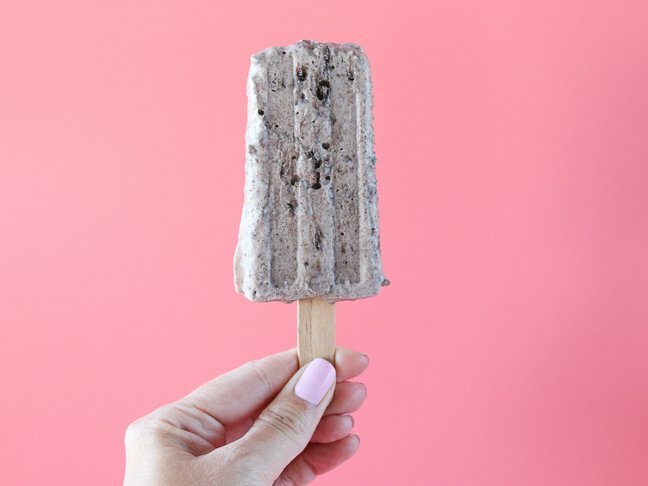 More good news: They’re incredibly easy to make, with just a food processor, popsicle sticks, and a $10 popsicle mold. 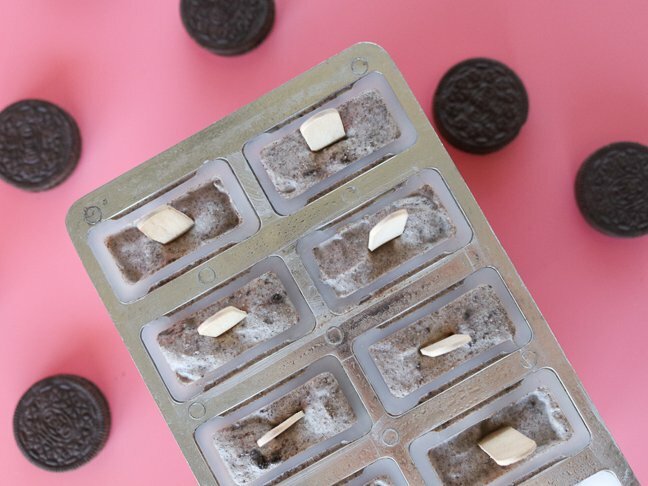 You can serve them straight out of the mold, or remove the popsicles and store them individually in plastic ziplock bags. Ready to try out this frozen treat? 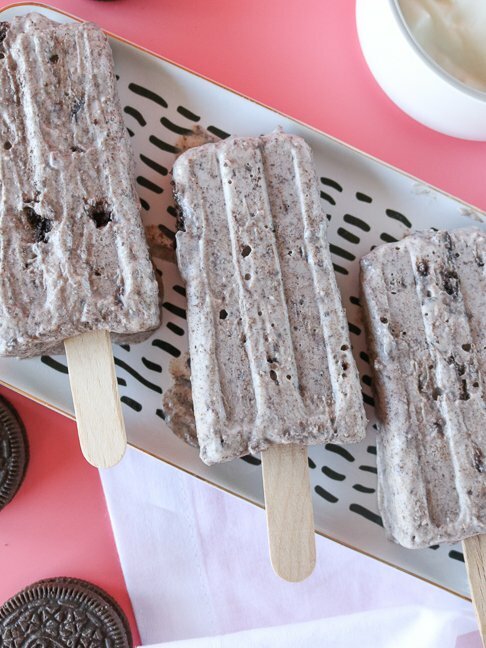 Here’s how to make your own Cookies & Cream Yogurt Pops. Step 1: Add the halved Oreo cookies to a food processor and chop into small pieces (they don't have to be uniform in size). Do not puree to fine crumbs. Step 2: Add yogurt and pulse until well combined. Step 3: Mix with a spoon to ensure cookies are evenly distributed. Step 4: Add mixture to popsicle mold with a spoon, tapping on the countertop to ensure each mold is completely filled and air bubbles are eliminated. Step 5: Insert popsicle sticks into the middle of each mold and freeze for five hours or overnight. Step 6: Carefully remove popsicles from the mold. You may need to run the plastic portion of the mold under warm water to loosen.